And it's in the middle of a desert! Most people plan a trip to Dubai with one thing in mind: SHOPPING. While they do have some pretty impressive malls, there are more things to discover there. 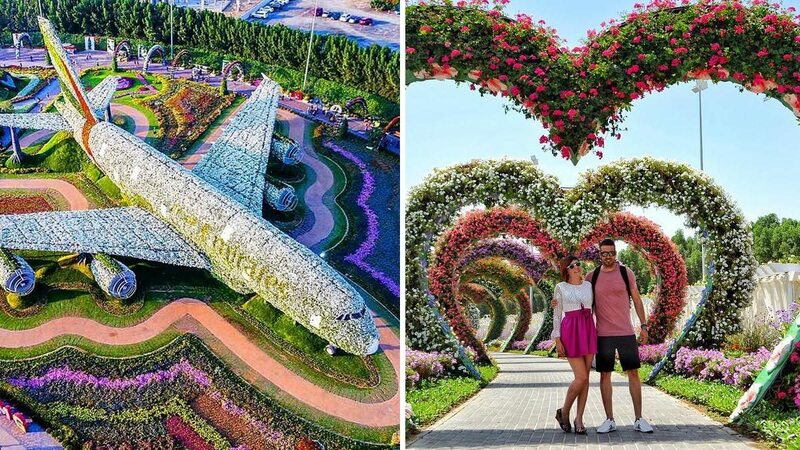 In fact, were you aware that the world's biggest flower garden is in Dubai? The Dubai Miracle Garden is covered in floral arrangements—45 million flowers, to be exact. The 18-acre wonderland is located in Al Barsha South, right in the middle of a desert. The place welcomes 1.5 million people every year. Unfortunately, it operates on a seasonal basis, but the good news is that it'll open its doors again in November 2017.